There was even a story of a girl who wanted to be with a merperson, but society forbade it, so she turned herself into a whale or shark, but if she had children with the merperson, that child would’ve been a half-merperson. There are several different types of half-breeds in Harry Potter. Fleur Delacour is part-Veela, her grandmother was one. Hagrid is half-giant, his mother was a giantess and his father was a wizard. Despite her denial of it, Madame Maxime is also half-giantess. Headmistress Olympe Maxime is (in spite of her protestations to the contrary) half-giantess; brilliant, elegant and undeniably awe-inspiring. In the F.A.Q. of J.K. Rowling’s old website, she confirms that Professor Flitwick has a distant goblin ancestor, confirming that part-goblin wizards are possible. Just like Dean Thomas (see ‘Extras’), Flitwick has a background that I now realise will never see its way into the books because it is not relevant to the plot. He is human but with a dash of goblin ancestry – something like a great, great, great grandfather. This is only interesting in as much as it gives him a perhaps unexpected empathy for people like Hagrid who are, in Death Eater parlance, half-breeds. However, Flitwick and Hagrid have never had a scene together, so Flitwick’s genetic composition has been relegated to the very back of my mind over the six novels in which he features, although I think it has informed his character. Slightly dotty though he may be, he is welcoming of all students, whatever their background (he did say in ‘Philosopher’s Stone’ that he was very fond of Lily, thus establishing that he was not prejudiced against Muggle-borns). 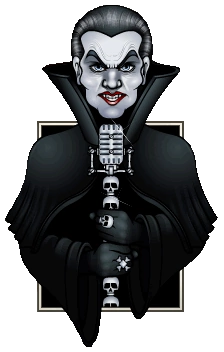 The Circus Arcanus has several part-beings working as freaks in their freak show. It’s not clear if they’re part-humans specifically, but they are half-breeds of some kind. TINA walks past the street performers working in the open, scrutinizing them. A HALF-TROLL performs feats of strength. A few misshapen and particularly downtrodden humanoids—UNDERBEINGS without powers but of magical ancestry—shuffle around, taking money from the crowd. Horns hidden beneath hats, unusual eyes beneath hoods; HALF-ELVES and HALF-GOBLINS juggle and tumble. Two people are suggested to be part-troll, though in both cases it seems more likely to be an insult rather than a factual statement of genetic possibility. Ron says a Snatcher is part-troll because he’s not smart and smells really bad, two traits common to trolls. Harry also suggests that Marcus Flint might be part-troll, but again this seems like just an insult. 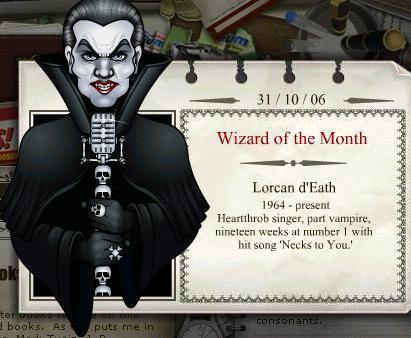 The November 2006 Wizard of the Month on J.K. Rowling’s official website was Lorcan d’Eath, a part-vampire who was a popular singer in the wizarding world. In the Pottermore welcome letter for Ravenclaw, the prefect writing the letter says the Ravenclaws suspect Professor Flitwick is part-elf. Considering that Ravenclaws are typically smart, it’s likely that part-elf wizards are at least possible to exist, even if Professor Flitwick isn’t one himself. Speaking of eccentrics, you’ll like our Head of house, Professor Filius Flitwick. People often underestimate him, because he’s really tiny (we think he’s part elf, but we’ve never been rude enough to ask) and he’s got a squeaky voice, but he’s the best and most knowledgeable Charms master alive in the world today. However, part-merperson or part-fairy wizards aren’t mentioned. Fairies in Harry Potter are small unintelligent creatures, and furthermore, reproduce by laying eggs. Though they’re more intelligent and physically closer in size to wizards, merpeople aren’t implied to be genetically compatible with wizards, nor are any part-merperson wizards mentioned. It’s unlikely either fairies or merpeople could reproduce with wizards. There are various examples of Half-Breeds. First off, Fleur Delacour and her sister Gabrielle are Half Veela. Fleur is part Veela, and therefore possesses some of their magical powers. She is not a direct half-breed though, her Grandmother was a Veela which makes her 1/4 Veela. "An 'air from ze 'ead of a veela," said Fleur. "One of my grandmuzzer's." - Harry Potter and the Goblet of Fire, Chapter 18 (The Weighing of the Wands). Furthermore, Filius Flitwick is part goblin which means that at some point in his ancestry a Goblin and Human created a Half-Breed. He's also mentioned to be a part-elf though this is never proved but seems to be implied as possible. Also, (most obviously) Hagrid is a half Giant. Harry and Ron find this out in GoF, when they overhear Hagrid talking to Madame Maxime. Ron looked around at Harry, his expression very serious indeed. "Did you know?" he whispered. "About Hagrid being half-giant?" "No," Harry said, shrugging. "So what?" Lorcan d'Eath was seen in J.K Rowlings Wizard of the month from 2006, he is portrayed as a popular singer in the Wizarding-World. Were there any other half-magical creatures in the Harry Potter world? Why is Harry Potter a half-blood?